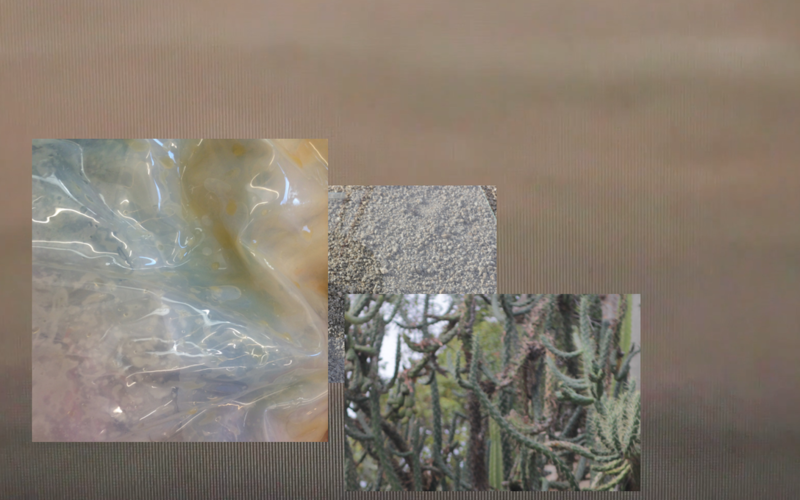 Delving into different modes of address and encounter, I digress explores the transmission of language through different technologies as a relational and open-ended activity. The artworks and collaborative approaches of this exhibition consider the forms of labour, exchange and unexpected detours of this process. 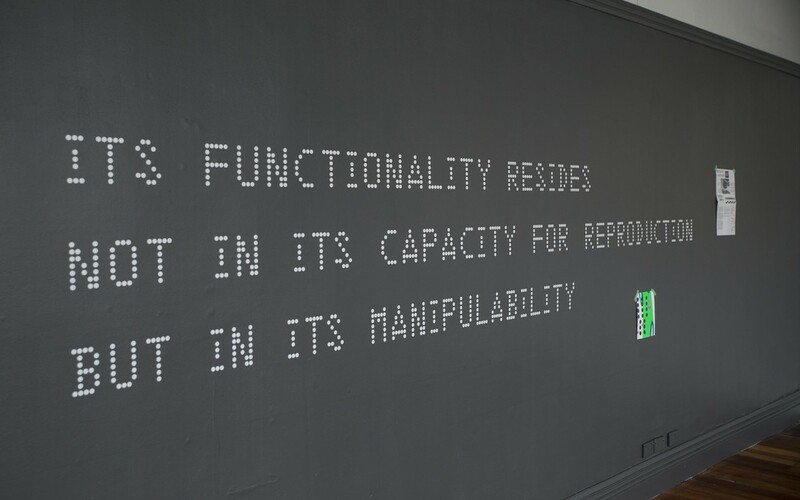 David Bennewith's contribution draws from a research project tracing the social reception of Lincoln/Mitre Fonts, an open source typeface he developed with the assistance of Bram van den Berg. Freely downloadable at http://colophon.info/, Lincoln/Mitre is based on typographic research and designs for an early air defence computer programme developed by MIT Laboratories for the US Military in the 1950s. 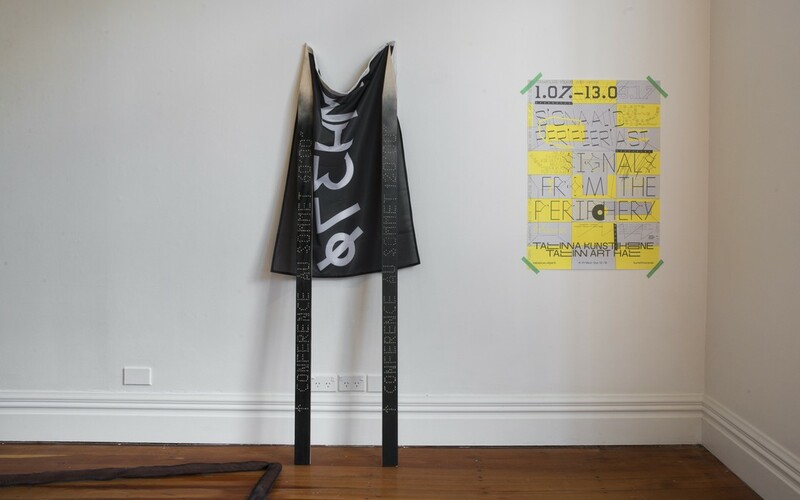 The typeface has found its way into artworks, other objects and ephemera—including t-shirts, beer coasters, wayfinding signage, printed materials and digital content. Links to a selection of web platforms using the typeface are listed at the bottom of this page. Working collaboratively, Matilda Fraser and Gregory Kan have developed a poetic spoken word text. 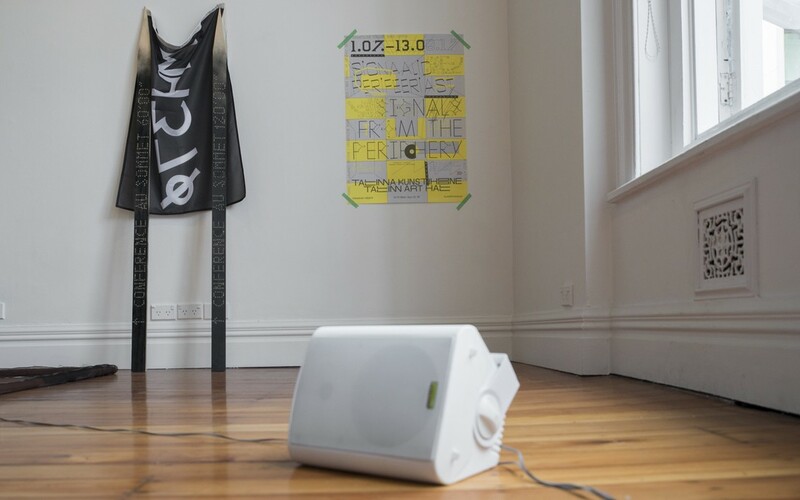 Played through various speakers in the gallery space, this fragmented audio contemplates traces or ‘ghosts’ of people, revisiting their legacies in the way they’re spoken about or to. An important strategy in this work is exploring and abstracting the second person address; a written mode historically associated with personal correspondence that is used more frequently and ambiguously in digital and social media. 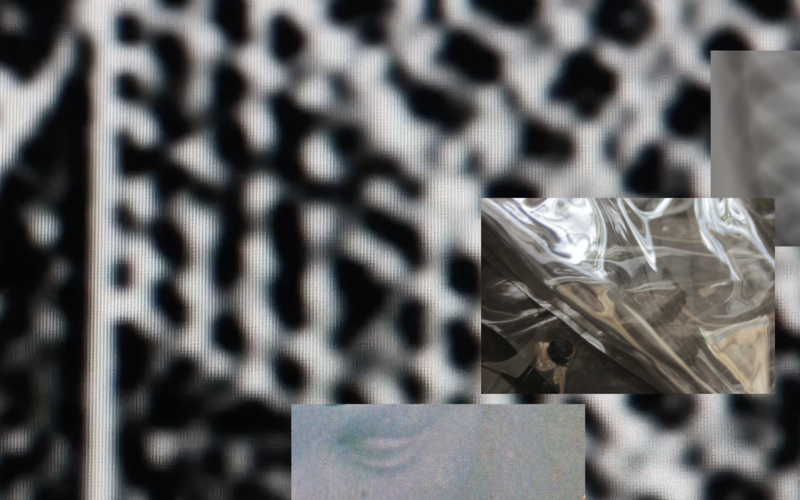 Fraser and Kan consider the act of ‘performing’ speaking to one in a certain moment, while also speaking to many across different temporalities. 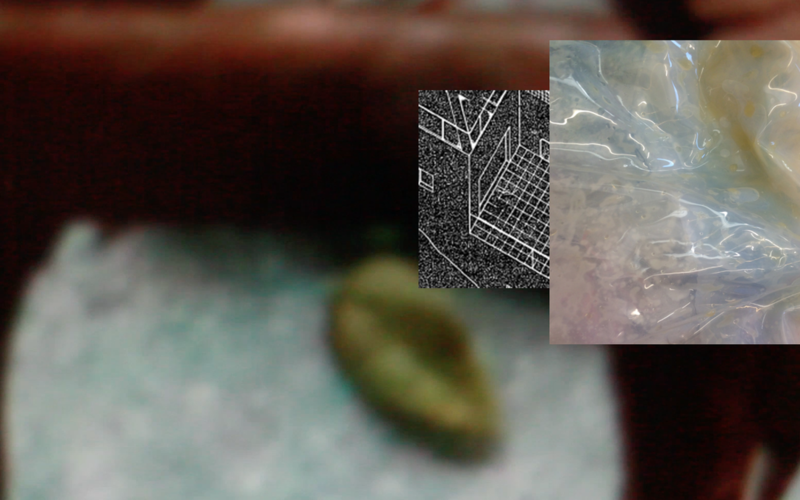 Continuing a project that began in 2015, Victor & Hester have developed the online platform http://perpetualcontact.xyz/ (with web designer Sean Burn), that uses an audio layering of Abby Cunnane’s text The Astrophysical (2016) and a series of still and moving images to accrue and feedback discursive moments and contents. 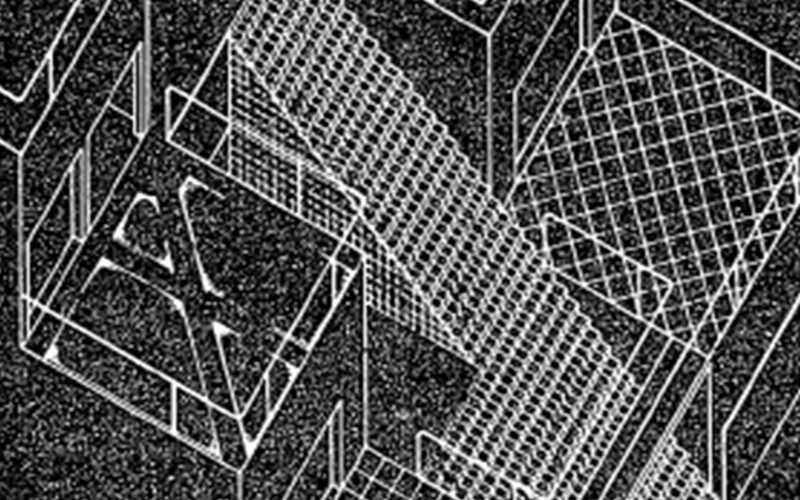 The repetition of images online intends to describe a plan or diagram, and obliquely draws on architectural drawings and notes of the Argentinian architect Diana Agrest, who writes of architecture and space as forms of reading or 'spatialized text in which levels of reading organised along various codes are combined and articulated'. 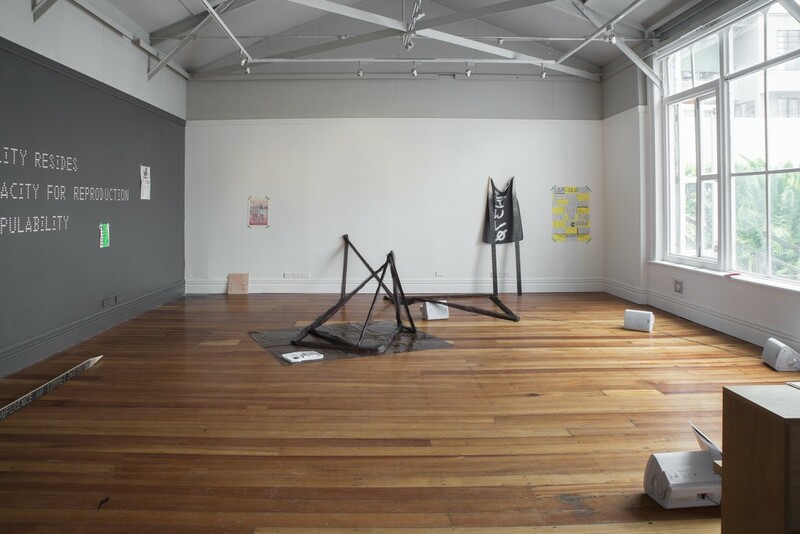 Within the gallery space textile objects form parallel structures for the intersection of different spatial-temporal ‘readings’. 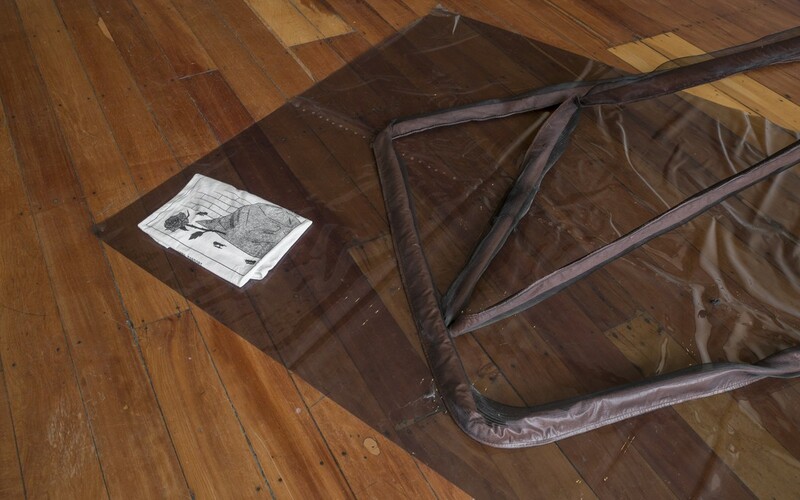 The fabric forms carry open seams and hinges and look to articulate a relationship between language and these material structures. Victor & Hester, perpetualcontact.xyz, 2017, website developed by Sean Burn, featuring The Astrophysical, written by Abby Cunnane, 2016. Read with thanks by Abby, Carmel and Tessa. David Bennewith, Gregory Kan & Matilda Fraser, Victor & Hester, I digress, 2017. Image courtesy of Shaun Matthews. 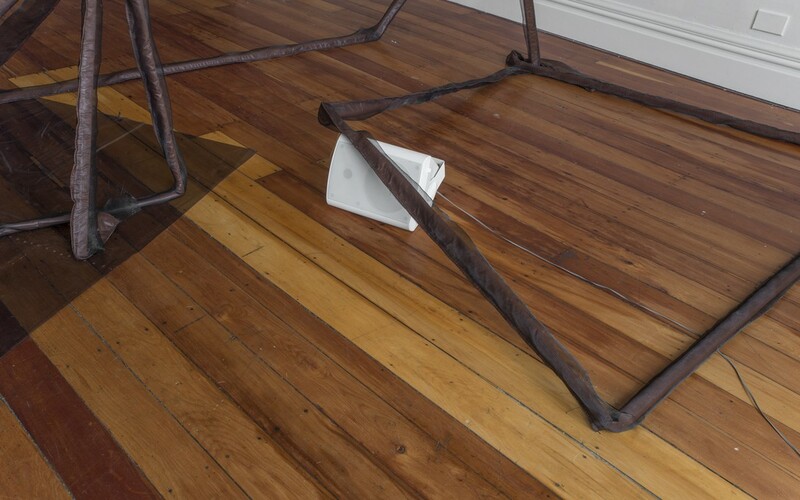 David Bennewith, I digress, 2017. Image courtesy of Shaun Matthews. 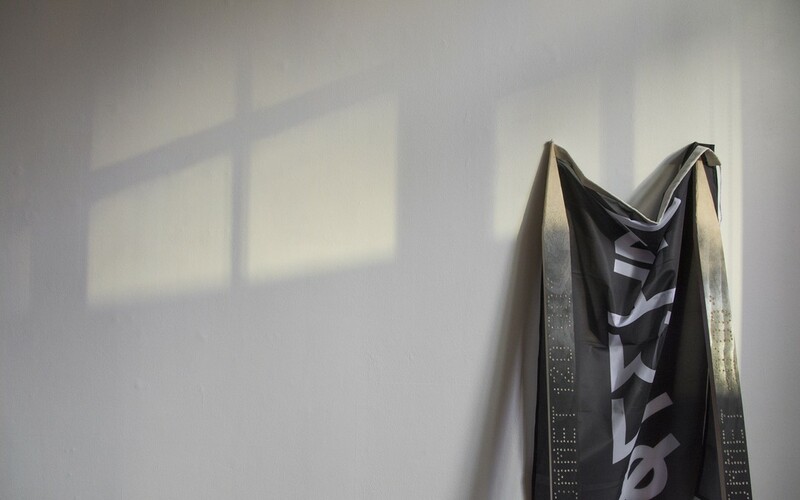 David Bennewith, I digress, 2017, 'Conference Au Sommet' signage designed by Lucie Humbert, MH37Ø flag designed by David Bennewith, 'Signals from the Periphery' poster designed by Jan Tomson. Image courtesy of Shaun Matthews. David Bennewith, Victor & Hester, I digress, 2017, Pansori Merch T-shirt designed by Fabian Harb. Image courtesy of Shaun Matthews. 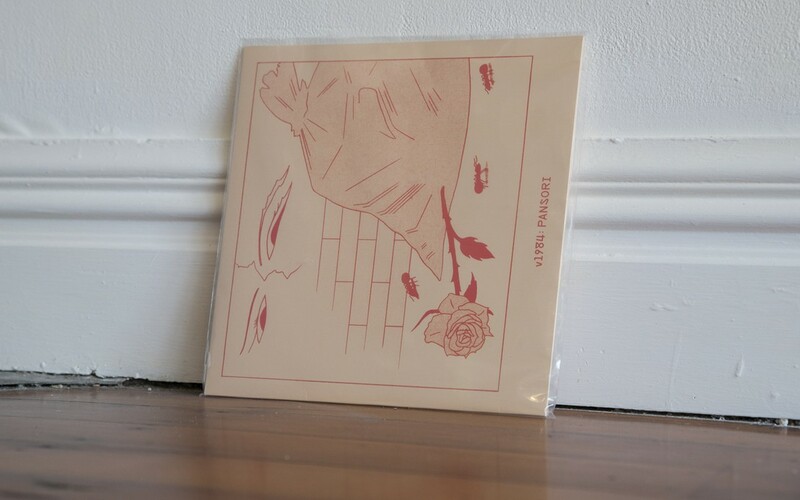 David Bennewith, I digress, 2017, Pansori 12" record designed by Fabian Harb. Image courtesy of Shaun Matthews. David Bennewith, Victor & Hester, I digress, 2017. Image courtesy of Shaun Matthews. David Bennewith, I digress, 2017, opening night, Counter Signals 2 publication designed by Jack Henrie Fisher. Image courtesy of Shaun Matthews. 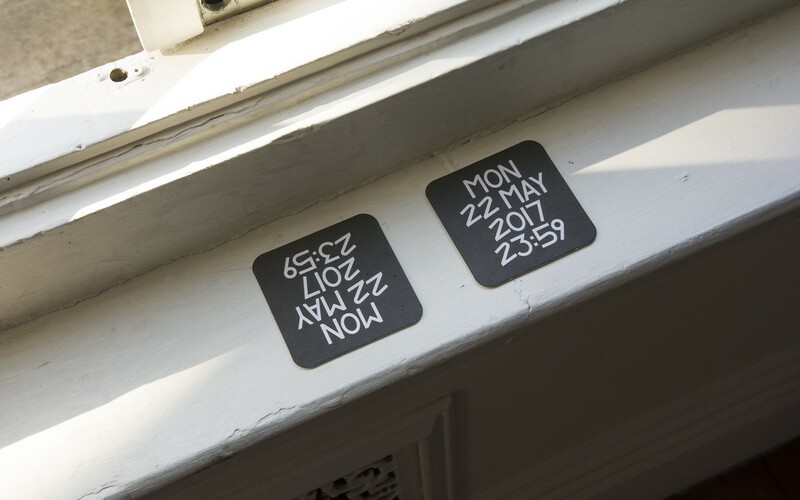 David Bennewith, I digress, 2017, Register to Vote beermats designed by Oliver Long and Lizzie Reid. Image courtesy of Shaun Matthews. Gregory Kan & Matilda Fraser, Victor & Hester, I digress, 2017. Image courtesy of Shaun Matthews. 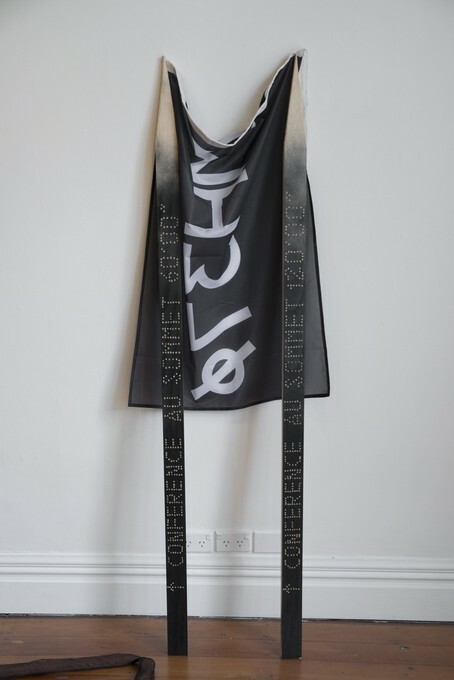 David Bennewith, I digress, 2017, 'Conference Au Sommet' signage designed by Lucie Humbert, MH37Ø flag designed by David Bennewith. Image courtesy of Shaun Matthews. David Bennewith, I digress, 2017, Funke Fengel poster and exhibition guide designed by Noem Held. Image courtesy of Shaun Matthews. David Bennewith, I digress, 2017, 'Southern Wave' Flyer designed by Luca Carboni. Image courtesy of Shaun Matthews. David Bennewith, I digress, 2017, Pansori 12" record designed by Fabian Harb, 'Radio Southern Wave' poster designed by Luca Carboni. Image courtesy of Shaun Matthews. 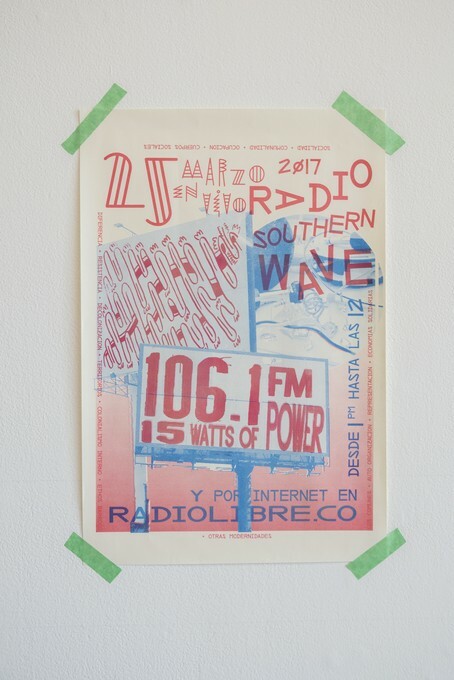 David Bennewith, I digress, 2017, 'Radio Southern Wave' poster designed by Luca Carboni. Image courtesy of Shaun Matthews. 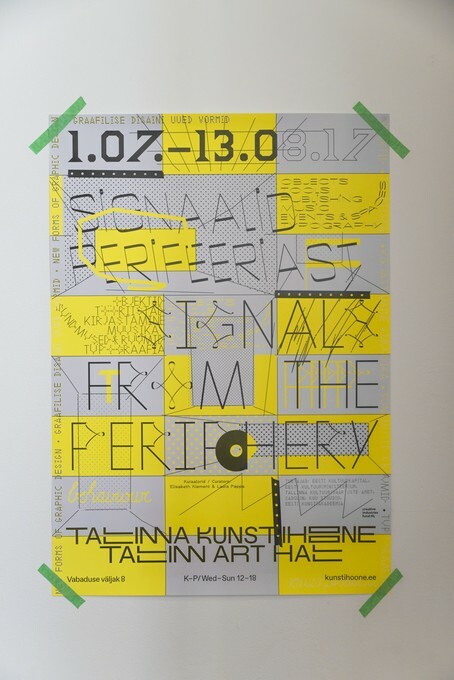 David Bennewith, I digress, 2017, 'Signals from the Periphery' poster designed by Jan Tomson. Image courtesy of Shaun Matthews. Victor & Hester perpetualcontact.xyz website developed by Sean Burn. The Astrophysical, written by Abby Cunnane, 2016. Read with thanks by Abby, Carmel and Tessa. 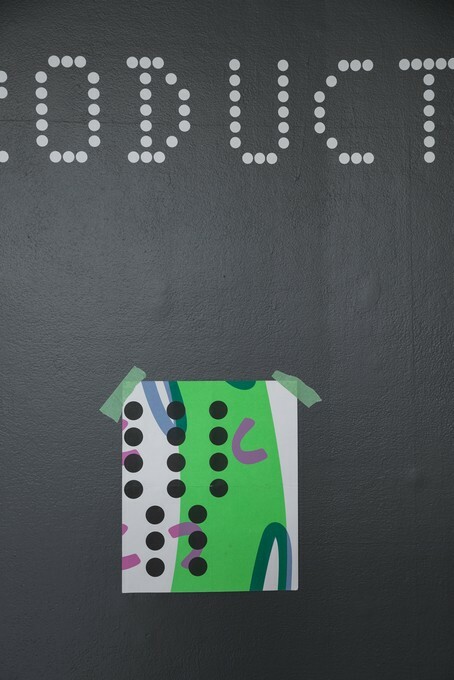 David Bennewith is an Amsterdam-based graphic designer and design researcher, working under the name of Colophon. 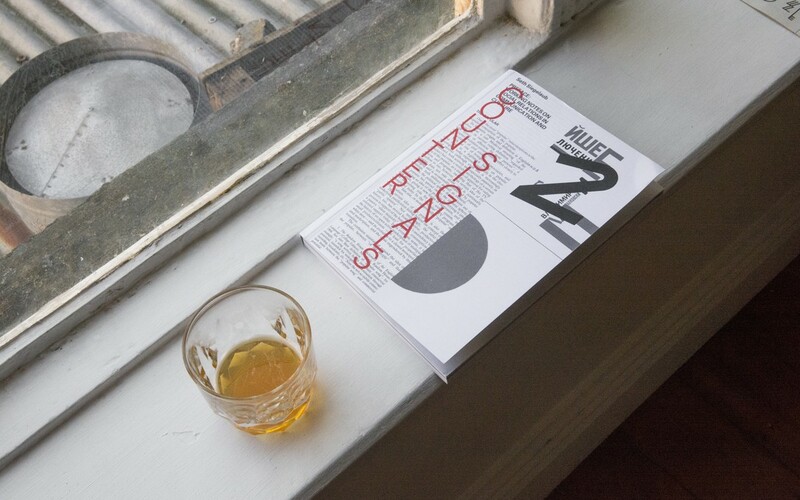 His research-oriented and commissioned projects have a particular focus on type design and typography, such as authoring a monograph on New Zealand type designer Joseph Churchward in 2009. Recent design work includes the visual identity and catalogue design for Cinema Olanda, the Dutch entry to the 57th Venice Biennale (2017) and for Secret Power, New Zealand’s entry to the 56th Venice Biennale (2015); the identity and graphic design for Casco, Office for Art, Design and Theory in Utrecht (ongoing), and Walls That Teach: On the Architecture of Youth Centres, ed. Susanne Pietsch and Andreas Muller, co-designed with Sandra Kassenaar, which was nominated for the Best Dutch Book Designs award 2016. 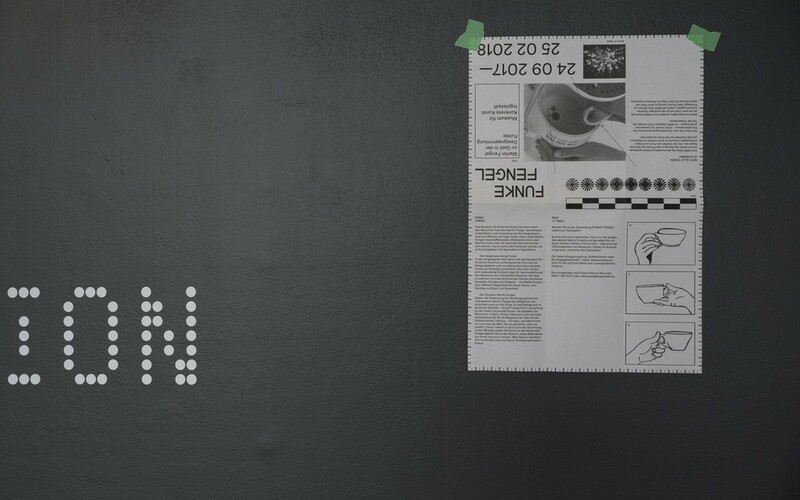 Since 2015, he is the head of the graphic design department at the Gerrit Rietveld Academie, Amsterdam. 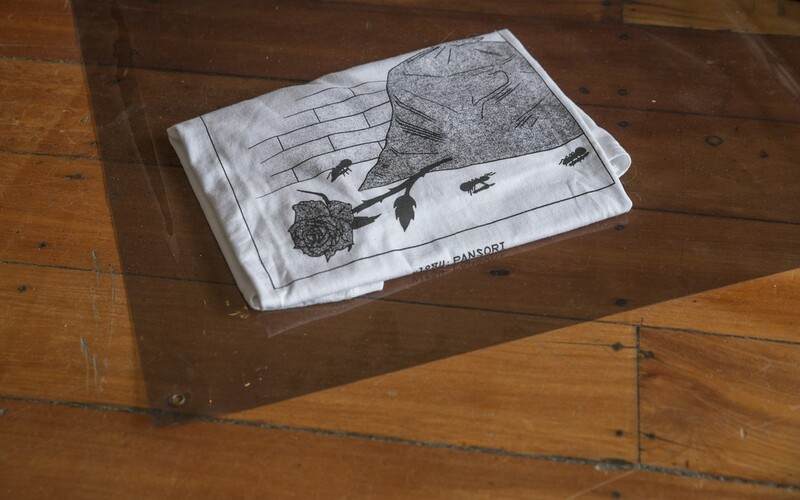 Matilda Fraser (BFA Hons, 2012, Massey University; MFA 2016, Elam) is an artist and writer based in Wellington, New Zealand. 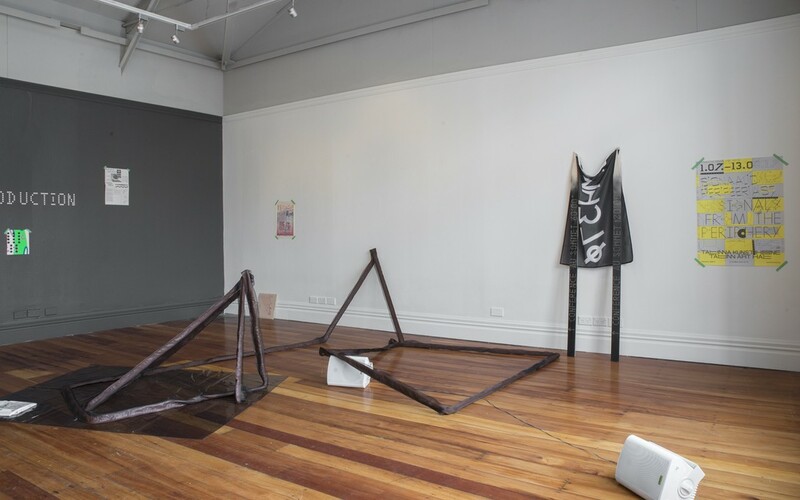 Recent shows include New Perspectives, Artspace, 2016; A singularly minute distribution, George Fraser Gallery, 2016; and Ways of Looking, Enjoy/Wellington Public Sculpture, 2013. 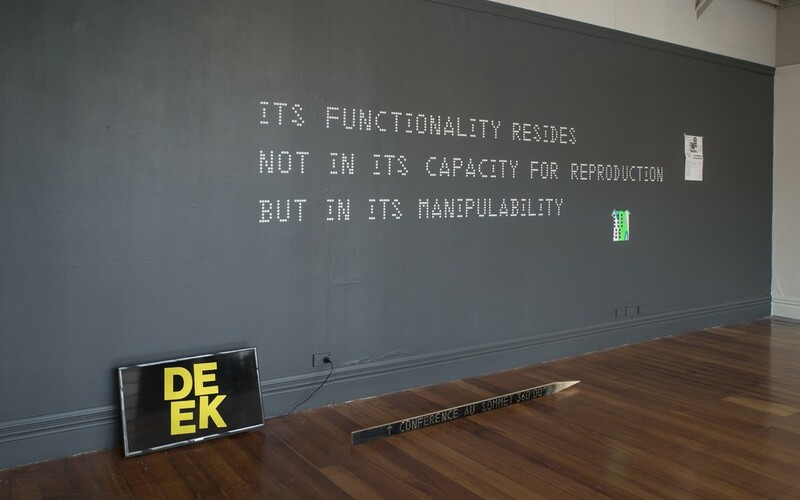 She was the 2015 Writer-in-Residence at Blue Oyster Art Project Space, Dunedin, producing a series of nested texts entitled Against Efficiency about the nature of criticism. In 2016, she was invited to travel to London as a finalist in the Sony World Photography Awards. Gregory Kan is a writer based in Auckland and Wellington. His poetry has been featured or is forthcoming in literary journals such as the Atlanta Review, Landfall, The Listener, SPORT and Turbine. 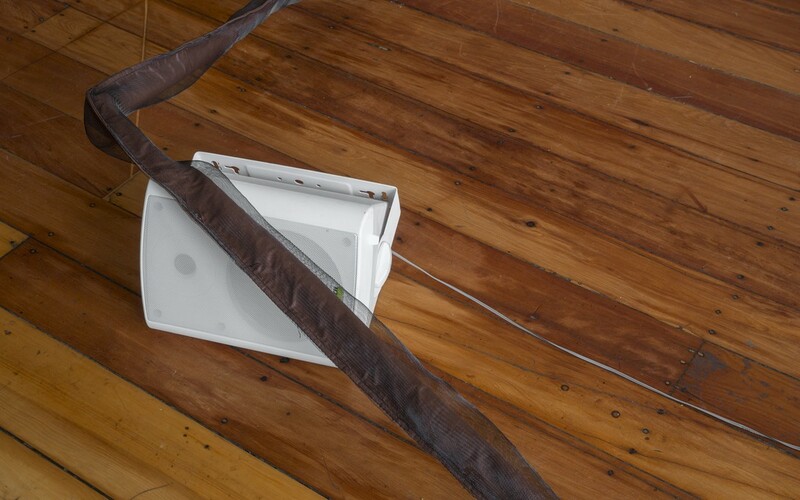 His poetry and philosophical work have also featured in exhibitions and publications for contemporary art institutions such as the Auckland Art Gallery, Artspace, the Adam Art Gallery, the Dunedin Public Art Gallery and the Physics Room. His first book, This Paper Boat, was published by Auckland University Press in 2016. An earlier incarnation of This Paper Boat was shortlisted for the Kathleen Grattan Poetry Prize in 2013. The book was also a finalist in the Ockham New Zealand Book Awards for Best Poetry in 2017. He is one of the Grimshaw-Sargeson Fellows for 2017. 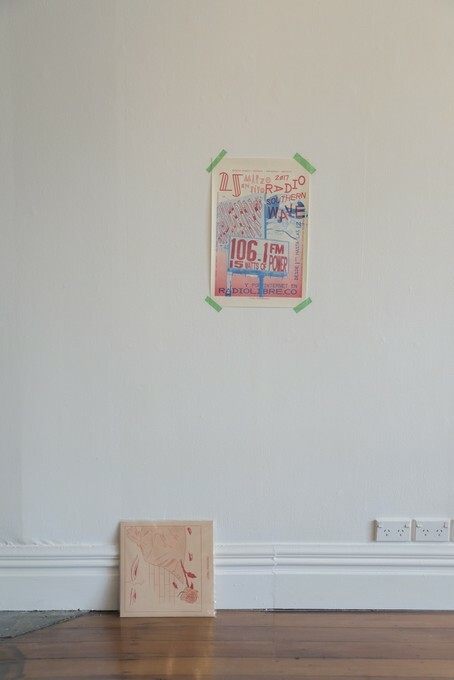 Victor & Hester is a collaborative project between Amelia Bywater and Emma Fitts, often formed around online platforms, events and print. 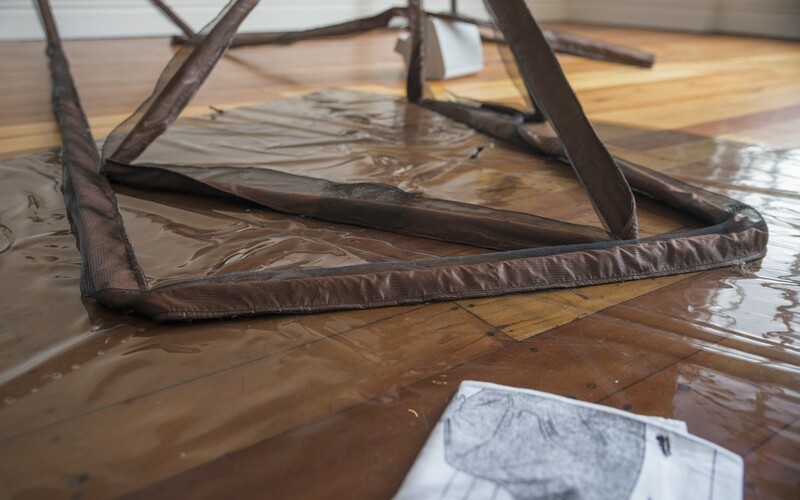 Often surrounding collaborating with other artists and writers, their project addresses questions surrounding the construction of temporary social spaces, and how to produce and distribute a permeable document of the processes and labor embedded within these experiences. The project began in 2010 with Kirstin Carlin and Camillo Paravincini.